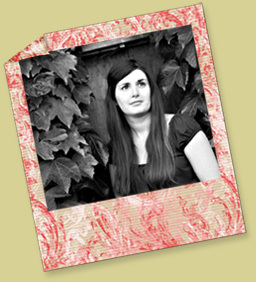 Owner/Designer Sarah Emily Allen has been in the photography industry since 1999. From her beginnings as a part-time technician in a professional lab during college, through a stint in portrait and wedding photography, Sarah has seen all sides of the business. She comments, "My last real job was doing post-production, marketing, and album design for a local studio. When the studio closed I realized that I loved doing the design and didn't want to go back to other kinds of photography related work. That's when Uptown Images happened. " Sarah combines her love for storytelling and sensitivity to good design to create albums that beautifully tell the story of the wedding day. She enjoys all aspects of the design process, from looking through the images for the first time, to creating layouts that compliment the mood of the day, to seeing the reactions from brides and grooms when they see their wedding day in story form. "I know I have done a good job when the album brings me to tears and I don't even know the couple I am designing it for!" Sarah says. Along with Wedding and Portrait Album design, Uptown Images offers a variety of design services: marketing and promotional materials, composite and greeting card design, as well as a line of greeting card templates soon to be available for purchase on the website. Having worked in the portrait and wedding industry for years we are sensitive to the unique qualities that set each photographer apart. We strive to become a virtual member of your studio's team by providing work with the look and feel that you call your own. Take a short trip through our galleries and you will find that an Uptown Images album is a reflection of the unique style of each photographer. All content copyright © 2019 Uptown Images. Image copyright held by photographers.